Twenty volumes of sound exposition, pastoral leadership, and the best of up-to-date evangelical scholarship come together in the IVP New Testament Commentary Series. Each volume presents passage-by-passage commentary based on the NIV along with background information on authorship, setting, theme and various interpretive issues. The main commentary focuses on the message of the New Testament for today's church, while study notes include valuable scholarly information to support those who use the volumes as a resource for preaching or teaching preparation. 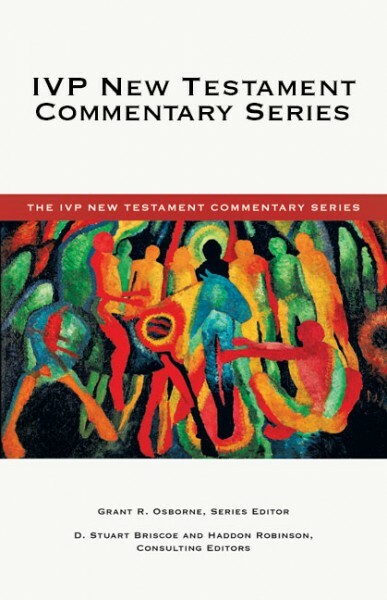 With readable commentary and reliable research helps in the same volume, preachers, teachers, students and other individuals who want to dig deep into the heart of the New Testament will find an indispensable companion in the IVP New Testament Commentary Series.